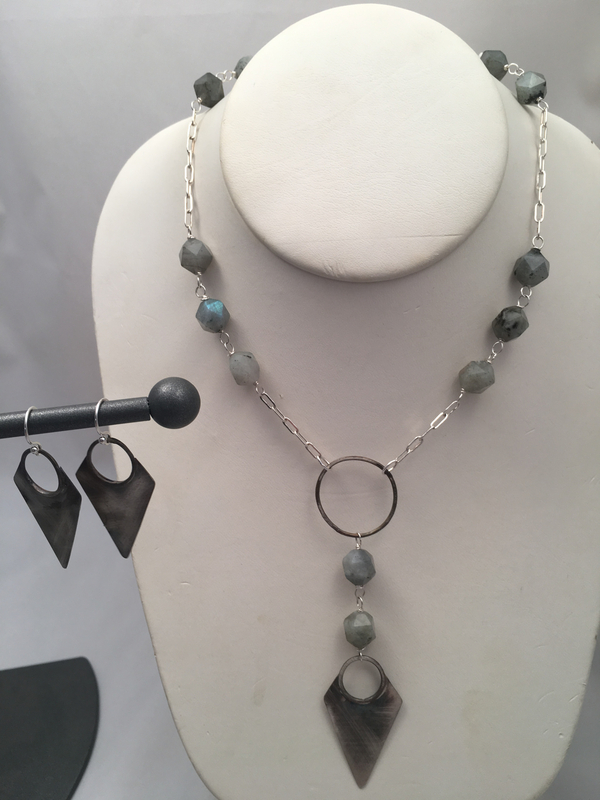 This necklace has a hand forged sterling silver arrowhead and hoop with gorgeous faceted Labradorite beads on a sterling silver chain. 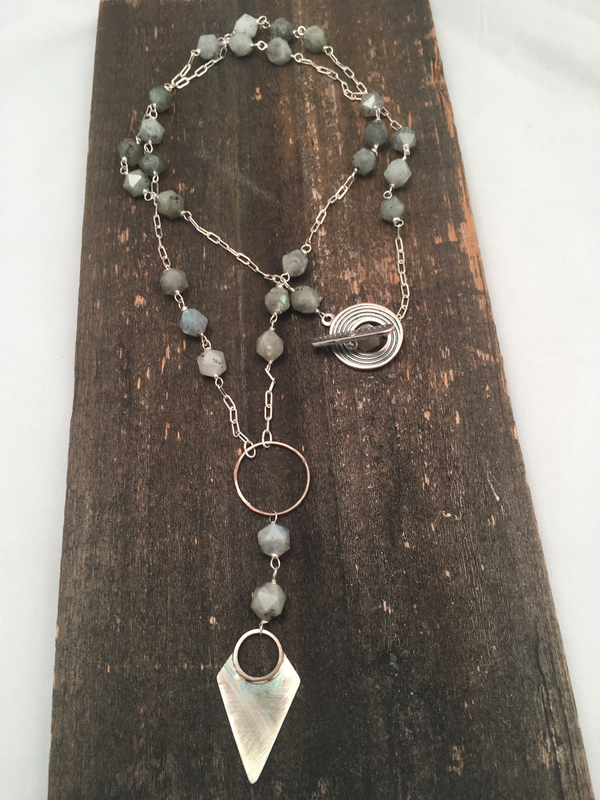 The clasp is a fun swirl on sturdy base metal and allows for the possiblity of doubling the necklace (see following measurements). 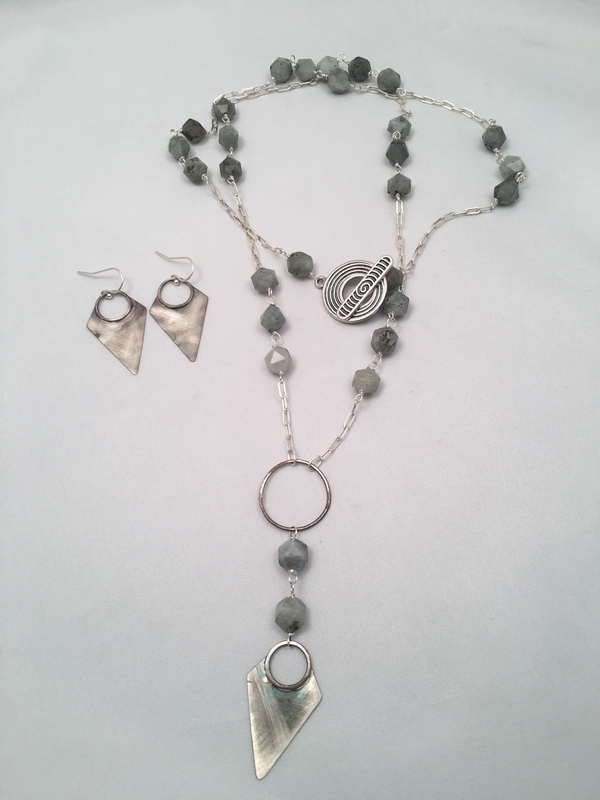 This necklace is 36 inches long with an additional 3 3/4 inches of dangle from the hoop to arrowhead. There have been parts of this piece that have been blackened. Cleaning wtih silver cleaner will take this treatment off. Earrings not included.